The Marlow Language Centre offers tuition in English for foreign students, and a wide range of foreign languages for English students – for adults and children, for private students and for business and corporate clients. One of the challenges was: how to create a user journey that took each person to the information she or he wanted without getting caught up in irrelevant details. For example, a foreign businessman looking to come to England for a four-week immersion course; parents wanting private tutors to help their children pass school exams; second-home-owners wanting to learn the local language. How do you cater for all these different types of prospective clients and speedily guide them to the specific information they need? 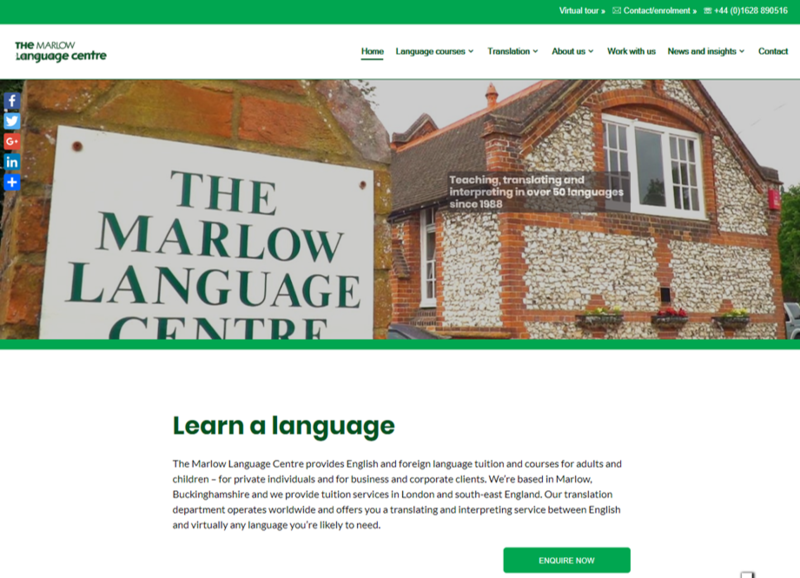 I worked with the Marlow Language Centre to review the site’s information architecture and prioritise user types, and then rebuilt the site with simplified navigation and new labels and page names, rewriting some of the key content. We incorporated video content produced by Oxford-based Raw Pictures. And we developed three different contact forms in conjuction with Metrici, to help generate qualified leads. The result: a significant increase in enquiries and conversions. 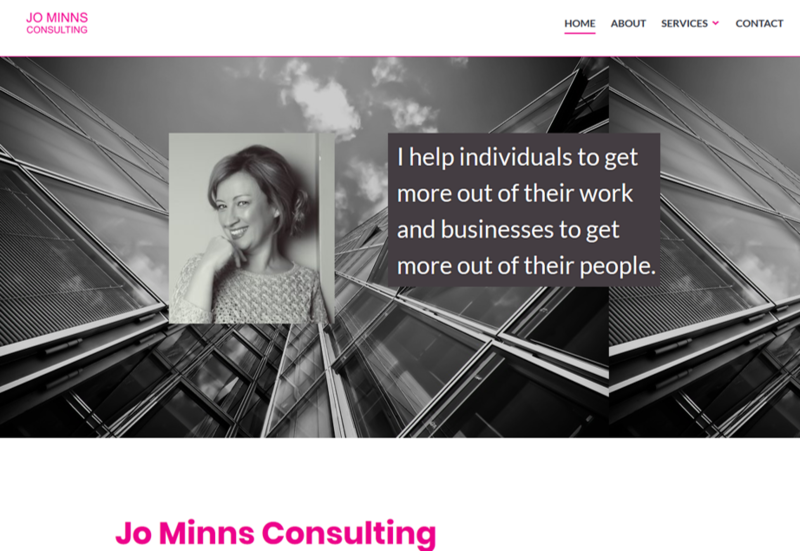 Here’s an example of a small website for a small business: Jo Minns operates a consultancy business aimed at three client types: clients for executive coaching, HR consulting, and interim HR management. We worked together on the content and came up with a brief message for each of the three client types, emphasising Jo’s relevant experience to each of them. 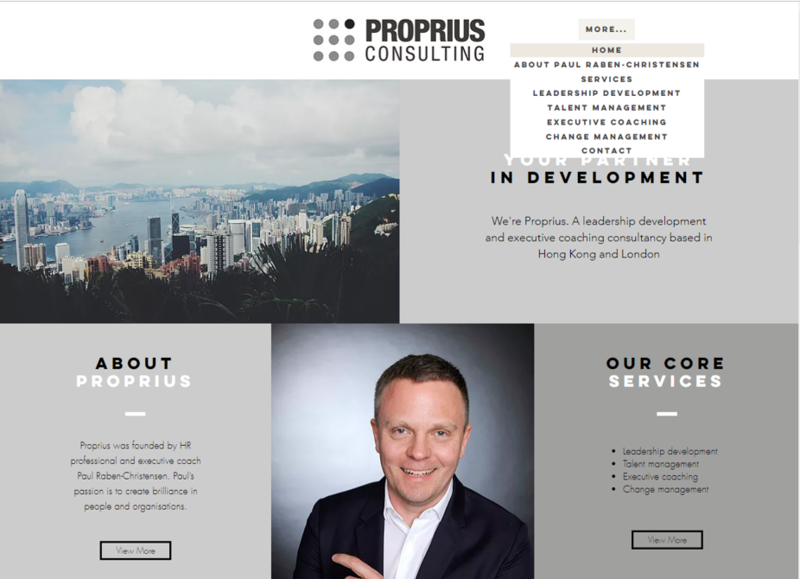 Paul develops leaders and coaches individuals across the telecoms, hospitality, professional services and luxury retail sectors. It can be surprisingly difficult for those dedicated to helping other people discover their hidden potential, to articulate their own hidden potential – as Paul was finding. That’s where I was able to help – by taking an outsider’s viewpoint and applying a rigorous question-and-answer system to structure and clarify the message. 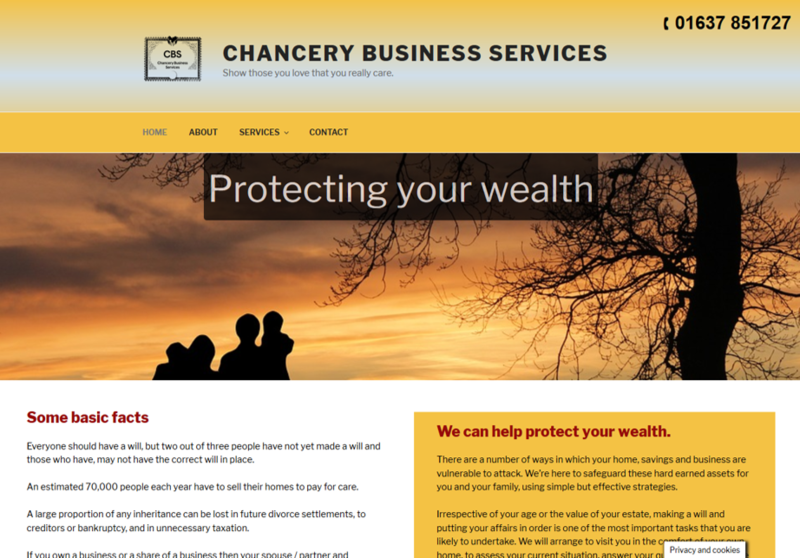 This is a small website which I built in WordPress to give a new look and feel to an older website. I based it on content provided by the client, giving it a light copy-edit as part of the service. 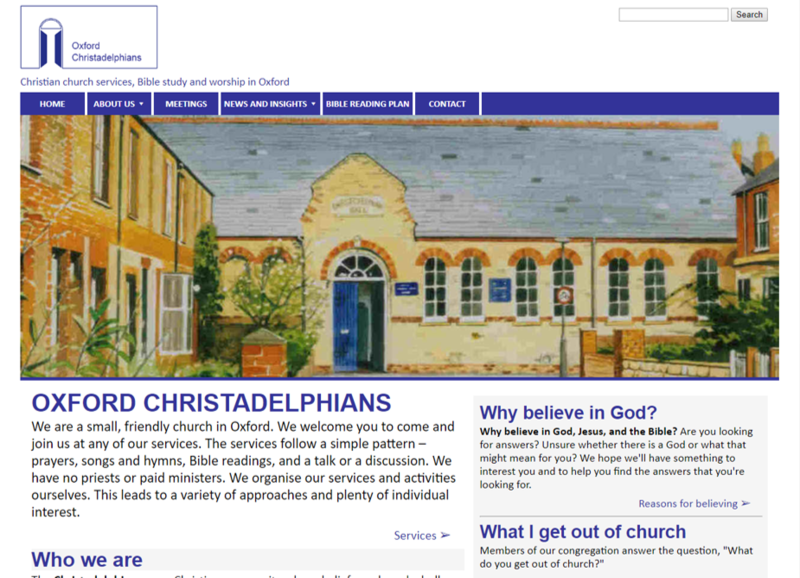 The main purpose of the Oxford Christadelphian Church’s website is to inform and welcome local people who might want to attend services. It also offers further reading on religious matters – with links to helpful sources – for those who are seeking this kind of information. I do a fair amount of work for agencies, i.e. working not directly for the end client but for a web agency as an extension of their team. I’ve recently been contracted to conduct a number of complex editing- and auditing-type jobs. I can’t name names in a public website because of client confidentiality, but I can share relevant details privately as appropriate.